Blend all ingredients with a food processor. Add 1 Tbs of water in at a time until a doughy consistency. Refrigerate for 15 minutes. 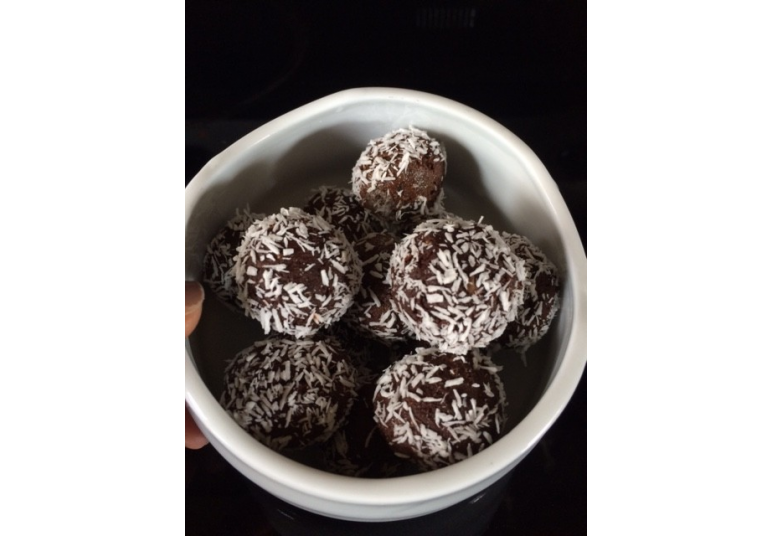 Roll in coconut flakes, nuts or any superfood powder!